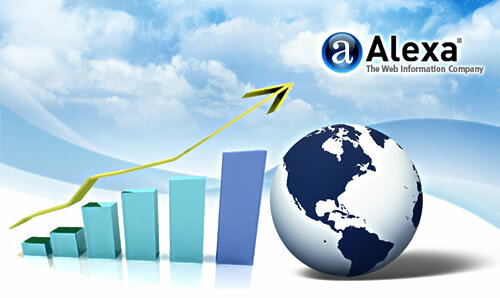 Alexa traffic rank is based on three months of collected historical traffic data from millions users of Alexa Toolbar and is generally established as a good quality traffic barometer. It is an incorporated measure of page views and users (reach). The three-month change is determined by comparing the site's present rank with its rank from three months ago. Find out how your web site traffic stacks up against all your competitors! Alexa Rank Checker is one of the most accurate and freely available tools to find out how well your site ranks up against millions of other sites on the Web. The Alexa Traffic History Graph allows you to generate a traffic history graph for any site. Alexa computes traffic rankings by analyzing the Web usage of millions of Alexa Toolbar users. This article will help you understand Alexa Ranking, and ways to improve it.